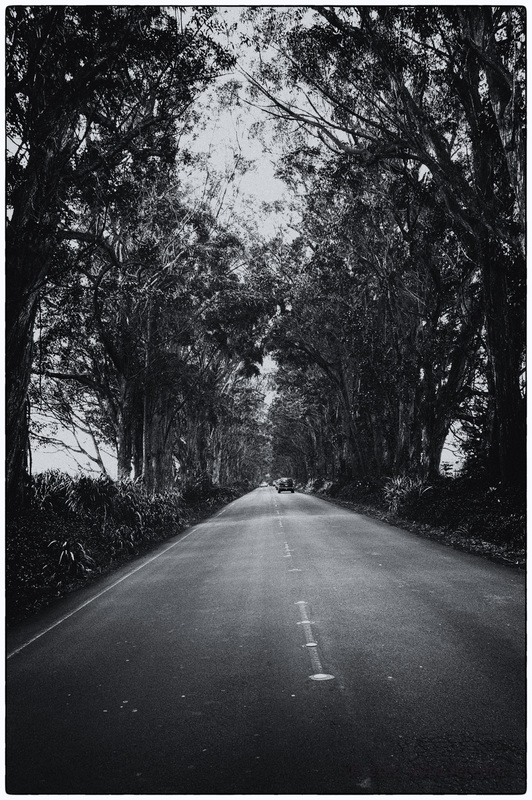 On a recent visit to Kauai I read about the The Tunnel of Trees which leads the way along Highway 520 to Poipu Beach. We took a drive to see for ourselves and found these huge eucalyptus trees that line Maluhia Road near Koloa, creating a dense corridor toward the South Shore. There are many color shots so I shot it this way.